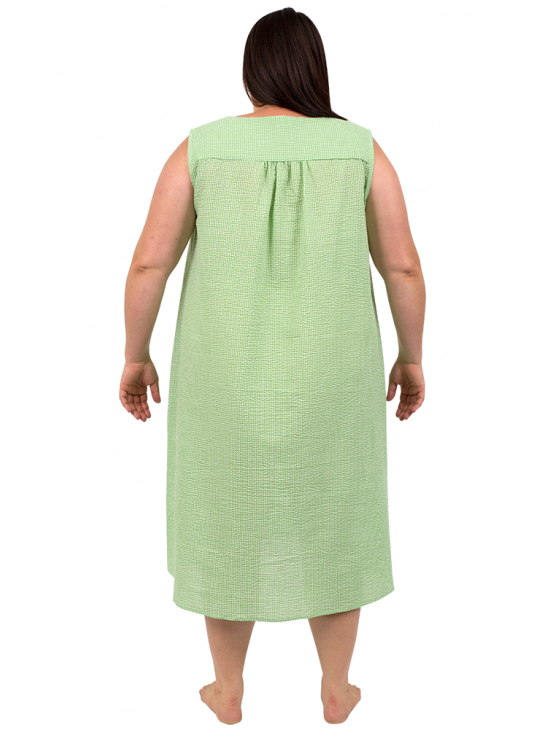 Perfect for those warm summer evenings, these sleeveless, seersucker plus size nighties are lightweight, cool and breathable. With square neck and 2 patch pockets in the front, they feature front and back yoke and shaped front seam with gathering from the yoke in front and back to give plenty of room though the hem for a comfortable fit. Available in two colours, theyre a beautiful lounge dress for relaxing at home.